This issue of Let’s Talk appears during the Great Fifty Days in which the Church celebrates the resurrection of our Lord Jesus Christ, his ascension into heaven, and the sending of the life-giving Holy Spirit. 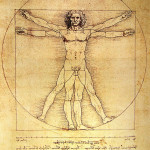 It is an appropriate time in which to focus on the human body, even to honor the body as God’s good creation that will be recreated in the resurrection. The resurrection of the body is in the third article of the Creed, under the work of the Holy Spirit, because the Spirit, the breath of God, is needed to raise up dem dry bones, as in the vision in Ezekiel 37. As spring finally arrives in Chicago after a long delay our bodies want to be outside feeling the warmth and responding to the increasing light of the sun. At the top of this issue Professor Ben Stewart writes of his experience with students from the Lutheran School of Theology at Chicago during January term at Holden Village in the mountains and forests of Oregon as they experienced the sun in mid-winter and discovered how the natural cycles of light and darkness shaped the daily prayer offices of the Church as well as their bodies drawn toward the earth in sleep as night falls and rising in the morning light to serve Christ. Liturgists have given renewed attention to the use of the body in worship. Effective liturgical leadership requires a sense of bodily presences — one’s own body, other bodies in the assembly, the assembly itself as a corporate body, and the sacramental body of Christ which should be handled with reverence. It helps for liturgical leaders to be comfortable in our own skin, as we say. Pastor Amy Schifrin writes about the body in worship and gives some practical suggestions for how worship leaders can train our bodies to exercise more effective leadership. Millions of Americans have entered into exercise regimens to get their bodies in better shape. The ancient practices of yoga have become a part of the routines of health-conscious Americans. I practice yoga and I invited my young teacher, Nicholas Beem, to write about what yoga is like from the perspective of the yoga teacher. He writes about the issues involved in teaching yoga and making a living from it. I think pastors will resonate with the tension Nick expresses between being faithful to the spiritual traditions of yoga and drawing people into the studio who may only be looking for an exercise program. Yoga embodies ancient Eastern spiritual traditions. Should a Christian be practicing yoga at all? Some, like Albert Mohler, think not. I explore these traditions in my contribution on yoga and the theology of the body. I unpack the tradition of Tantra Yoga, which takes seriously the body as the location of divine revelation. At the same time I dip into the late Pope John Paul II’s extensive catecheses on the theology of the body and see parallels between them. The late pope seemed to embrace the phenomenological philosophy that rejected the Cartesian body/mind dualism by affirming that we don’t have a body, we are a body. God relates to us in our bodies and we respond to God with our bodies. An incarnational theology should be matched by a somatic spirituality, and I think yoga can help us develop that. Yoga and other physical exertions can be rough on bodies unused to moving muscles and joints in certain ways. What better way to honor the body as the temple of the Holy Spirit than by massaging it. Here too a somatic spirituality can be cultivated. Sheila McCarthy-Daskovsky, a member of St. Nicholas Catholic Parish in Evanston, writes about the spiritual dimension of bodywork. She tells me that most massage therapists who have been in practice for at least seven years do both Traditional Swedish Massage / Neuromuscular Therapy and some form of energy work. In Sheila’s case, that energy work is Zero Balancing and Craniosacral Therapy, which are both hands-on modalities. For all of our increased attention to the care of the body today we have also been inundated with reports of physical abuse of youthful bodies in instances of hazing (a form of peer bullying) and sexual molestation of youth by adults. I was reluctant to include my usual “As I See It” column in this issue because of other articles I have contributed. But I decided to take the risk of sharing my own experience of sexual molestation when I was a young teen, along with some reflections on how honoring the body of Christ restores honor to dishonored bodies. One of the issues reaction to physical abuse raises is how we respond to being bodily exposed to one another when we sense that we are vulnerable. Our columnist Ben Dueholm ponders this topic in the light of the specific and timely example of the bombings that occurred at the Boston Marathon. We humans are usually unwalled from one another, as when running in a marathon, and terrorists take advantage of this situation, thinking that we are protective of our bodies above everything. Ben reflects on how the Boston marathon horror gave the lie to this assumption. 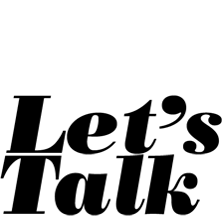 Stephanie Paulsell writes that “The body comes to the attention of all of us sooner or later, whether through deep bodily pleasure, or through illness and pain, or through our encounter with the bodies of others.” Her book, Honoring the Body , provided the title of this issue of Let’s Talk . It is reviewed by Pastor Betty Landis, who testifies to its meaningfulness in her own life, but also gently reminds us of the threat that comes from the discovery of the “intimate connection between sacredness and vulnerability” as we care for our bodies and the bodies of others. The highest honor God gives us is to raise our mortal bodies from the dead. But what will our resurrected bodies be like? Many people wonder and even worry about that. I write a question-and-answer column on the Immanuel Lutheran Church of Evanston web site, and I had an interesting question a while back about whether a young man will keep his 30-year old body and his tattoos in the resurrection. I thought you might enjoy the (speculative) answer. Bodily vulnerability is something we all share, no matter how different we are in other ways. We are all vulnerable to pain and illness. We all age. We will all die. But one whose body was terribly abused rose bodily from the dead and we are promised that those who are baptized into his death will share in his resurrection. Christ is risen! He is risen indeed. Alleluia!